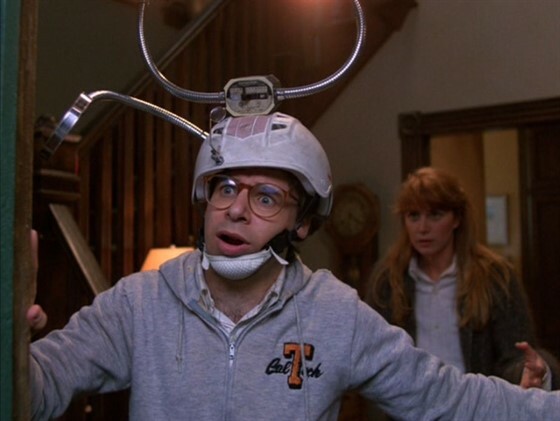 Rick Moranis stars as a preoccupied inventor who just can't seem to get his electro-magnetic shrinking machine to work. Then, when he accidentally shrinks his kids down to one-quarter-inch tall and tosses them out in the trash, the real adventure begins. Now the kids face incredible dangers as they try to make their way home through the jungle of their own backyard! Honey, I Shrunk the Kidstakes cues from such 50s fare as The Incredible Shrinking Man to tell a family-friendly tale filled with ingenious set design and special effects. Director Joe Johnston, who made his debut with this film, began his career as a visual effects artist on the original Star Wars, and shared the Academy Award for Best Visual Effects for Raiders of the Lost Ark.